THE LAST ONE! From US$ 89.99, now US$ 40.00 ! 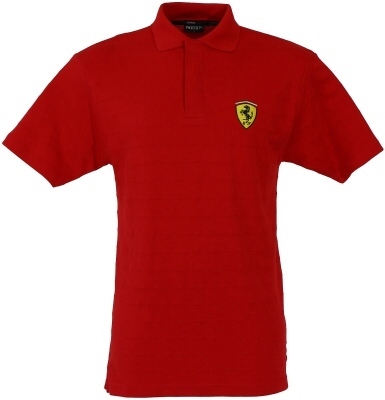 Ferrari Textured Shadow Stripe Polo - Red. Button placket polo with 1x1 rib collar in 100% cotton, 230gsm raised textured stripe interlock, with webbing trim inside the placket and side splits. Ferrari racing shield embroidered to left chest, side seam Ferrari brand label and branded Ferrari ribbon inside collar.